Seven hours’ time difference might illustrate how far is London and Jakarta, along with difference in cultures, habits and many other things that captured by your senses. It was never easy to make a decision that brought your life to plentiful differences, where we left the comfortable daily routines and beloved friends and families. Entering the new environment with the expectation of new challenges, I did worry how I could allocate my time in music while I am going to concentrate on other commitments. Seven years passed since I know violin and been a part of an orchestra. I should admit and agree on my former piano teacher quote, that a student shall be more advanced than his/ her teacher. It is because a student owns something that a teacher never has: an opportunity to practice. It happened obviously when I entered the work life in Jakarta as I spent 9 hours in the office and 4 hours on the road daily, no time left for music. It was also sad to see my friends gave up their music one by one for their other commitments, work, marriage and business. However, music is a universal language that unites people including myself who have tried to find the similar vibe in this new city. This belief has encouraged me to set a clear goal to never give up on music. Quite surprising that the smart search engine returned me with a hundred of active amateur orchestra listed in London. I decided to choose one of them and emailed them for a permission to come to their rehearsal. I felt inferior at the first time I entered the rehearsal room, as their playing was very neat although it was only their second rehearsal for the new term. Apart from all of my fears, I found that they were actually similar. 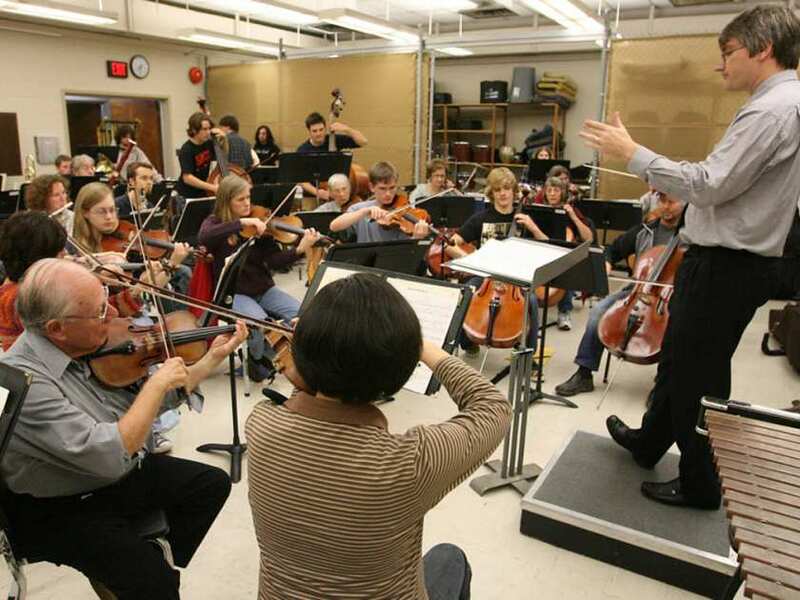 Amateur orchestras both in London and in Jakarta consist of amateur musicians from various backgrounds. Members come and go, and absence is inevitable since each member might have their unique commitment and priority. Some views might rise from the education system, environment, and other factors to serve as an excuse why the groups in London are relatively more mature. However, the purpose of this article is not to literally compare their systems. Instead, I would like to share and emphasize more how the music survives, at least in your own mind and life goal. One fact from my observation is how they appreciate the rare 2 hours’ session per week to interact and learn together as a community. Very simple practice from punctuality and self-independent means no one will browse around to find someone to lend music stand and stationery. Once the conductor’s baton is up, everyone will make their very full attention to it instead to their own score. A quick chat in post-rehearsal session reveals Londoners a balanced life, as they usually allocate their free time to do sports or even volunteering. Discussing on the organizational side, committees also come and leave, but the cycle is very fast that once someone is resigned, a new candidate shall show up immediately. It means that being a committee is not receiving an extra load. Instead, it is an opportunity to serve other members. In a personal way, I need to adjust my habits that conform to the common practices here. I should never come to the rehearsal unprepared. Additionally, I shall be grateful that luckily I am here in a world city with many musical resources. I have watched my very first live orchestra performance last weekend in Royal Festival Hall. The resident orchestra Philharmonia played Rachmaninoff Piano Concerto 2 and Holst the Planets. No better word to describe other than incredible since the orchestra had delivered superior performance in such complex repertoires. Lastly, I need to quote from a popular piece from Rutter, that the ‘Music Always There with You’. Anywhere you go, music will always live and you will always live by and for music. ~Bramana Putra is a student in Airline Management in London and was a member of Twilite Youth Orchestra, Concordia Community Orchestra and Orkes Simfoni UI Mahawaditra. He is also the co-founder of Celeste Chamber Orchestra and now plays in Central London Orchestra.